Moscow (English pronunciation: /ˈmɒskaʊ/ or /ˈmɒskoʊ/; Russian: Москва́, tr. 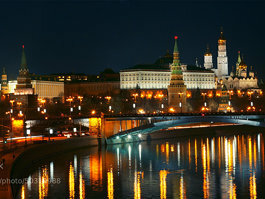 Moskva) is the capital, the most populous city, and the most populous federal subject of Russia. 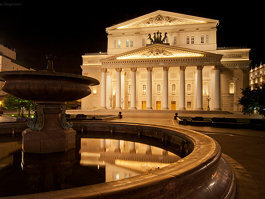 The city is a major political, economic, cultural, scientific, religious, financial, educational, and transportation centre of Russia and the continent. 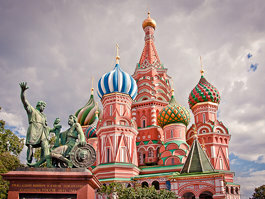 Moscow is the most northern city on Earth to have a population above 10,000,000, the most populous city on the continent of Europe, and the sixth largest city proper in the world. Its population, according to the preliminary results of the 2010 census, is 11,514,300. Based on Forbes 2011, Moscow had 79 billionaires, displacing New York as the city with the greatest number of billionaires. The city is served by an extensive transit network, which includes four international airports, nine railroad terminals, and the Moscow Metro, second only to Tokyo in terms of ridership and recognised as one of the city's landmarks due to the rich and varied architecture of its 182 stations. Over time, Moscow has acquired a number of epithets, most referring to its size and preeminent status within the nation: The Third Rome (Третий Рим), Whitestone (Белокаменная), The First Throne (Первопрестольная), The Forty Forties (Сорок Сороков). Currently Moscow Government and NGOs try to promote a new city brand WowMoscow aimed at demonstrating its openness and friendliness. The demonym for a Moscow resident is Moskvitch, rendered in English as Muscovite.